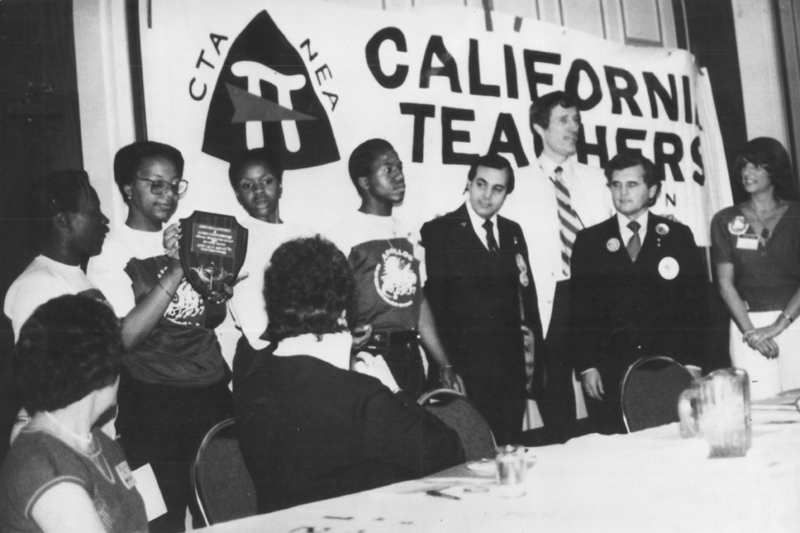 In 1981, an Oakland Tech teacher and group of seniors lobbied the California state senate to officially recognize the Martin Luther King holiday. New posters in the Library document the inspiring political work of these Tech students. New posters that have placed in the OT Library documenting the inspiring political work of OT students. 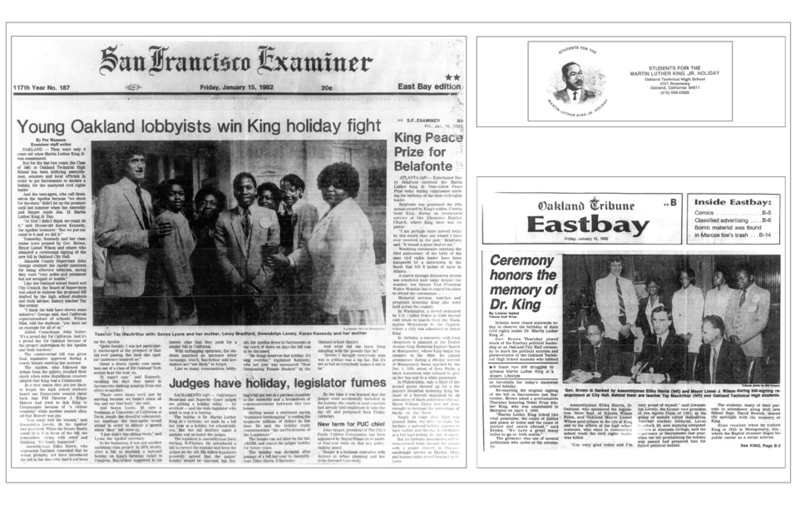 These lobbyist brought the observance of MLK jr holiday in CA and the status of OT as an historic landmark into law. You can view these images in the photo gallery below, as well. I hope you can share these with your students and other staff members who may also be interested. The posters are located in the back of the library at the staircase. 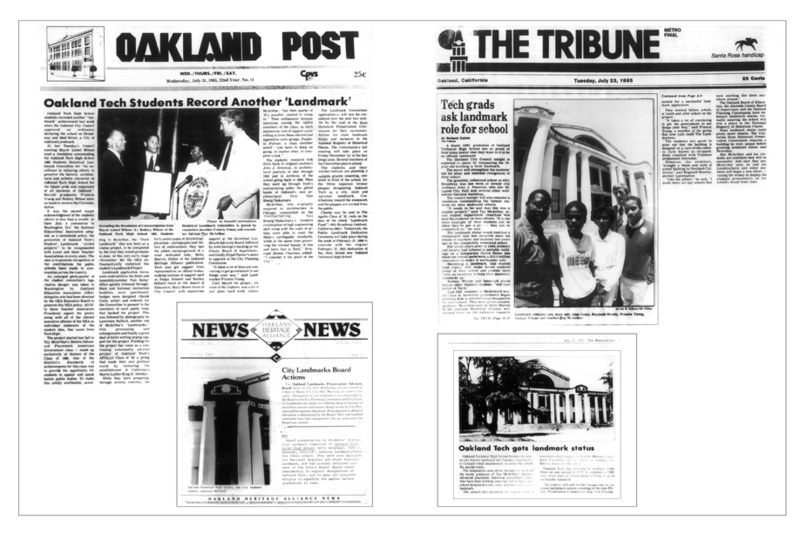 I had the pleasure to meet an Apollo, Ms. Kennedy and Mr. Tay MacArthur, a former teacher at Tech who facilitated the students and was kind enough to loan his posters to me so that reproductions could be made for the Oakland Tech Historical project I have been working on. The project was the vision of former librarian Ms. Carolyn Harper who wanted a permanent exhibit in the library reflecting spirit of the OT students throughout the past century. Most of the photos reproduced were chosen because they depicted activities that the current student might relate to, yet with the feeling of times gone by. 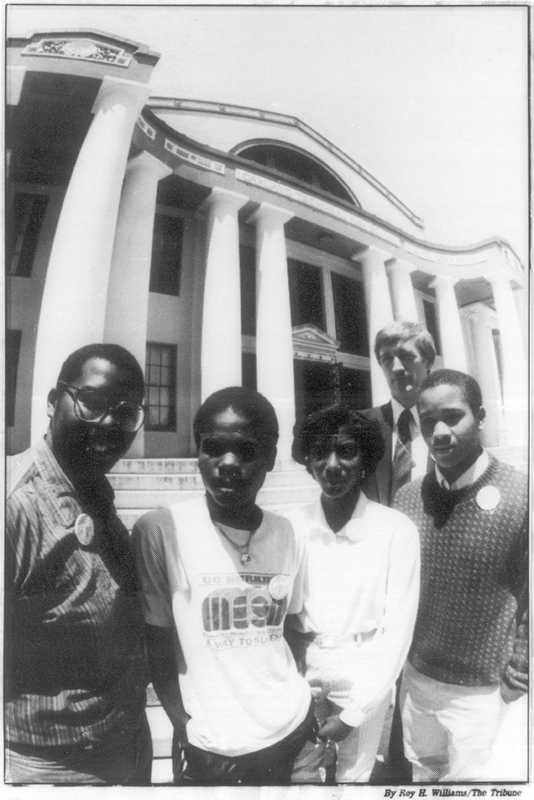 The photos range from 1914-the ’80’s. When I heard about the Apollos I felt this would be a great addition to the photo exhibit which also shows that the student voice is strong. I realigned the PTSA grant so that I could include these images that are now in the library for all to take pride in. I hope to plan an opening in May with Ms. Pines to celebrate the art departments body of work for this year along with the historical project images. 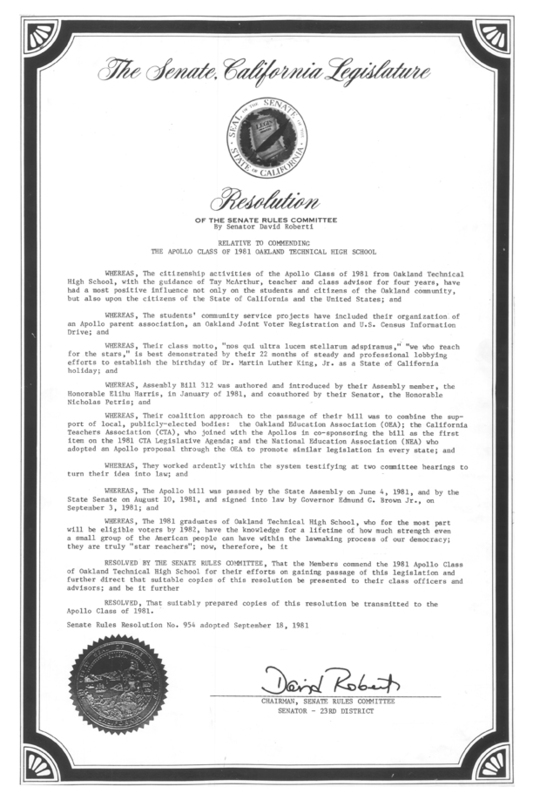 In 1981, Oakland Tech high school seniors and teacher Tay MacArthur lobbied the California state senate to officially recognize the MLK holiday. 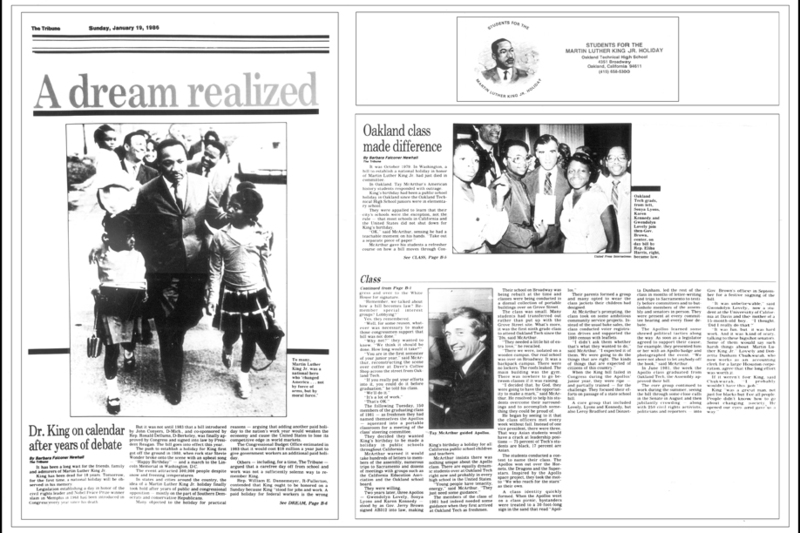 This video, and this article in the San Francisco Chronicle from July of 2008, tells their story.